By Adjua Fisher·	 9/1/2015, 2:50 p.m. 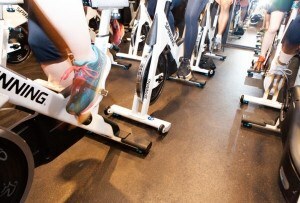 If staycations and free yoga sessions are your two favorite things, you’re going to want to get in on Kimpton’s Instagram contest, kicking off today. 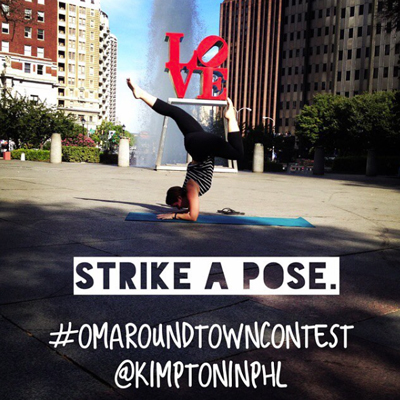 Here’s the deal: All you have to do is Instagram a photo of you getting your downward dog (or pigeon or bridge or whatever other yoga pose floats your boat) on anywhere around town with @KimptoninPHL and #OmAroundTownContest. Tip: The more creative the photo, the better. 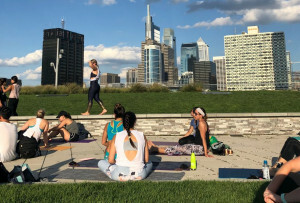 Every week for the next four weeks, a panel of judges will handpick a winning photo, and they’ll be handing out prizes like a stay at Hotel Monaco or Hotel Palomar and an entire month of free yoga at DIG Yoga or Dhyana Yoga to contest winners. Sweet, right? If you want to enter the contest, your Instagram profile will need to public (at least for the duration of the contest) in order for them to see your photo. And something to note: At the time of this writing, I see zero photo submissions for this year’s contest on Instagram, so I’d say your chances of winning are pretttttty high. 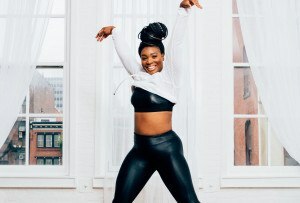 Good luck, yogis!